Any modern university takes on additional roles for developing the social and economic environment of its city and region. Institutes for higher education start understanding the importance of entrepreneurship and innovation. Entrepreneurial mission is becoming one of the priority goals for most institutes of higher education in Russia. One of the instruments to achieve this goal is to develop entrepreneurial skills and entrepreneurial thinking of students. Technological breakthrough is impossible without competent and talented youth. We need specialists who are able to determine development directions, set up goals and take responsibility for them. They should not only find current scientific possibilities but also be able to provide their practical application in order to meet the needs of consumers, industry and economics. Moreover, it is becoming more and more important for big companies and corporations to have flexible employees who are ready for risk and able to design new products and innovations and bring them into the market. Entrepreneurial thinking and spirit are becoming necessary competences for engineers and innovators. 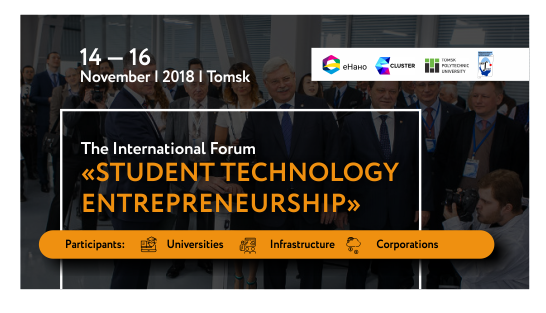 The Forum “Student technology entrepreneurship” is a unique platform with an ideal environment for efficient interaction between concerned parties in the field of technology entrepreneurship for students. The purpose of the Forum is to reveal best practices of entrepreneurial skill development of students from technical specializations and to apply them in modern universities. To prepare a list of recommendations for the Ministry of Science and Higher Education of the Russian Federation on entrepreneurship education for students with technical specializations. Universities (Russian, Asian and European) – developing entrepreneurial thinking, skills and spirit for students in technology (engineers and innovators). Infrastructure – searching for competent specialists in technology, innovation, and entrepreneurship. Corporations – searching for competent specialists for running and developing internal start-up projects. Tomsk region administration (on approval). Forum opening event – discussion platform “Student technology entrepreneurship: the role of the university in developing entrepreneurship competences”. 7th Annual business projects contest “10K: ideas for life” (satellite event). Expert seminar “Developing entrepreneurial thinking and skills for students in technology during their education process”. More infos soon! Stay tuned! 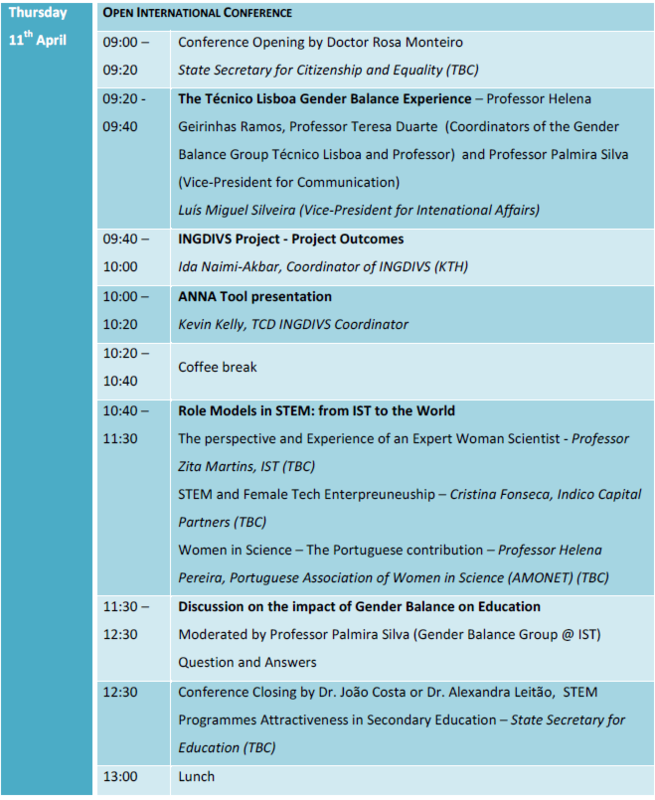 Tecnico Lisboa, of the University of Lisbon is pleased to announce that it’s International Staff Training Week will be held from 8 to12 October, 2018. 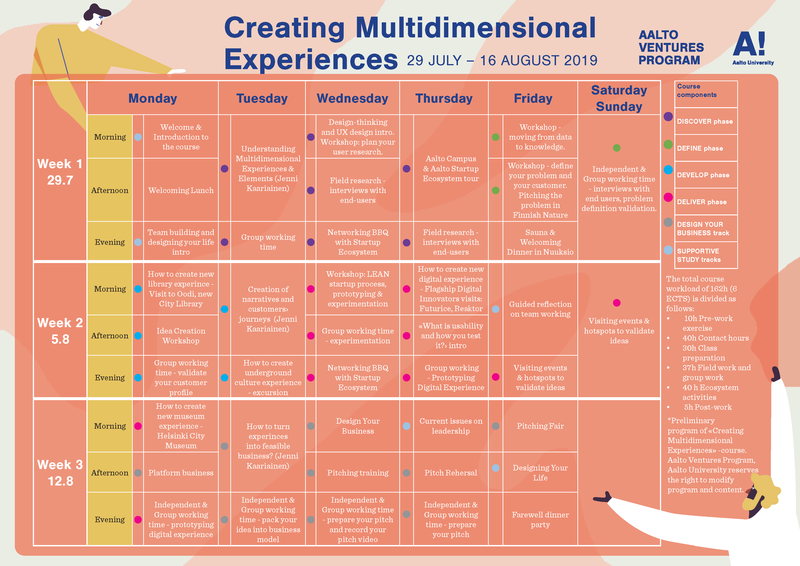 The five-day programme has a unique format which will include Guest speakers, regular sessions, debates, workshops, along with the opportunity to disseminate your university at the international exhibition (I-Day) and World café, cultural activities and social events. The outcome is to exchange experiences and know-how and participants who will learn from good practices of the partner institutions, obtaining the skills that are relevant for their jobs and their professional development. Detailed programme information is available at Staff Training Week 2018 or download a brochure here. The Staff Training Week is open to international relations professionals, administrative staff from international partners and non-partner Universities, as well as staff members from all Portuguese universities. Participation in the exhibition is strictly for our international partners, but national professionals are welcome to assist and network with our international partners. The fair is used to disseminate international mobility opportunities to our students. Previous editions received more than 1000 students. Fill in the application form as soon as possible, pay and benefit from a special discount. The Fee includes participation in exhibition (booth) / World café (coffee table) workshops, debate, guest speakers and cultural and social events. The online application is already open. We would appreciate it if you could pass this information to interested persons in the international affairs area of your University.